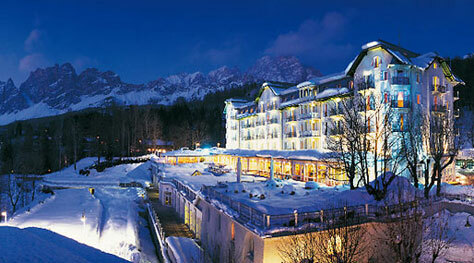 With a string of awards to its name, including that of "Leading Ski Resort" (2010 World Travel Awards), Cortina d'Ampezzo's Cristallo Hotel Spa & Golf is the only Italian hotel in the prestigious "Best of the Alps" association. The Cristallo's reputation for excellence is as old as the hotel itself, which opened in 1901, shortly after the inauguration of the Strada dei Dolomiti, road which led Cortina to become one of the Alps most exclusive tourist destinations. 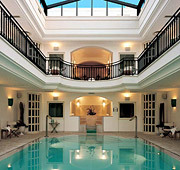 The hotel's Cristallo Ultimate Spa is comprised of the Transvital Swiss Beauty Center and Cristallo Fitness Club. The spa occupies two floors of the hotel, with 1600sqm completely devoted to wellness and beauty and surrounded by a breathtaking panorama of the Tofane Mountains, which are visible through the rooms' immense floor-to-ceiling windows. Switzerland's Transvital offers guests an innovative range of anti-aging face and body treatments, performed by expert staff, all specially trained to ensure guests receive the ideal treatment for their particular skin type. Spa facilities include a calidarium, tepidarium and a spectacular indoor swimming pool overlooking the mountains. The Fitwell Club is equipped with the latest Technogym appliances and guarantees the assistance of highly qualified personal trainers. For particularly demanding clients there are integrated paths which combine personalized fitness programs with specific Transvital treatments. The Cristallo Hotel Spa & Golf has long been the favorite mountain retreat of members of the international jet set, including Frank Sinatra and Peter Sellers, after whom the hotel's two sumptuous presidential suites, complete with mosaic tiled Hammam and private Butler service, have been named.